Ethical Trading is about brands, retailers and suppliers taking responsibility for the working conditions of the people who make the products they sell. It's about making sure that workers are treated fairly, with dignity and respect. Our passionate commitment to human rights has always shaped how we trade with our suppliers around the world. We build close relationships with those suppliers and work together to ensure ethical trading is at the heart of our, and their, business. We believe this is the way business should be done. 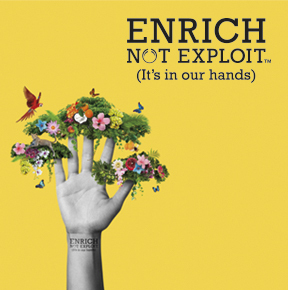 In 1998, we became a founding member of the Ethical Trading initiative. The ETI is a partnership of likeminded companies, voluntary organisations and trade unions, all dedicated to improving the working lives of people around the world. In 2005, we adopted the ETI's base code as our own Supplier Code of Conduct. Recently, we've been busy extending the programme and making it work harder for everyone involved. We work with over 120 suppliers. Through our Ethical Trade programme, each one of them is visited regularly. This allows us to know how they treat their workers - over 30,000 people.